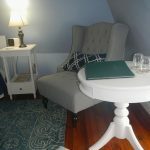 Charming character with sloped ceilings and dormer windows, kingsize bed (or two twins), small seating area with table, ceiling fan and updated private bathroom with shower at our romantic bed and breakfast in Lenox, MA. 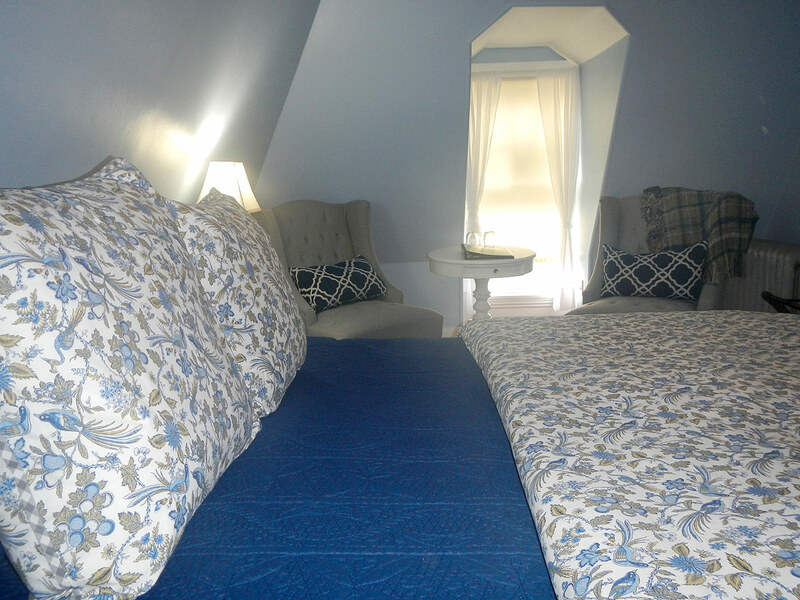 Book a getaway to our Berkshires bed and breakfast. 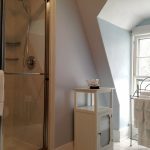 This room has independent climate control, whether air-conditioning in the summer or heating in the winter. This room has a flat-screen TV and basic cable service. 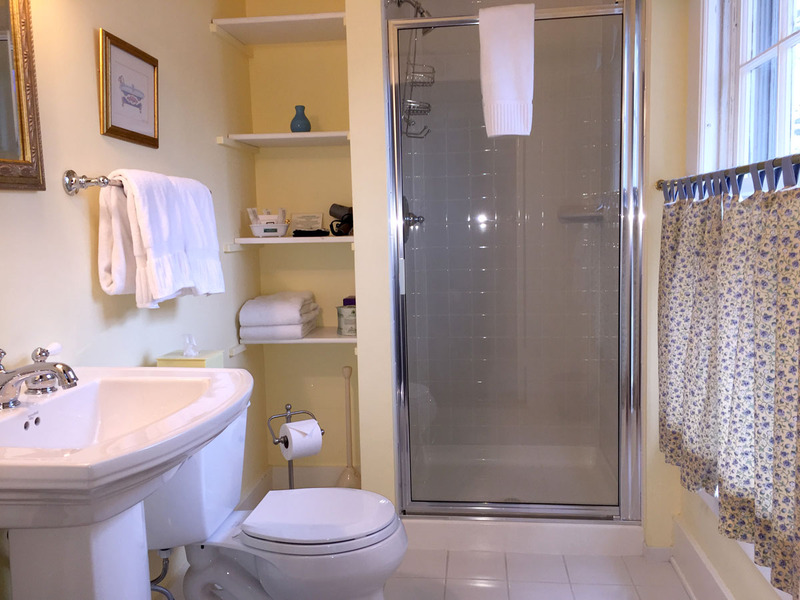 High speed internet access is available in your room and throughout the inn. 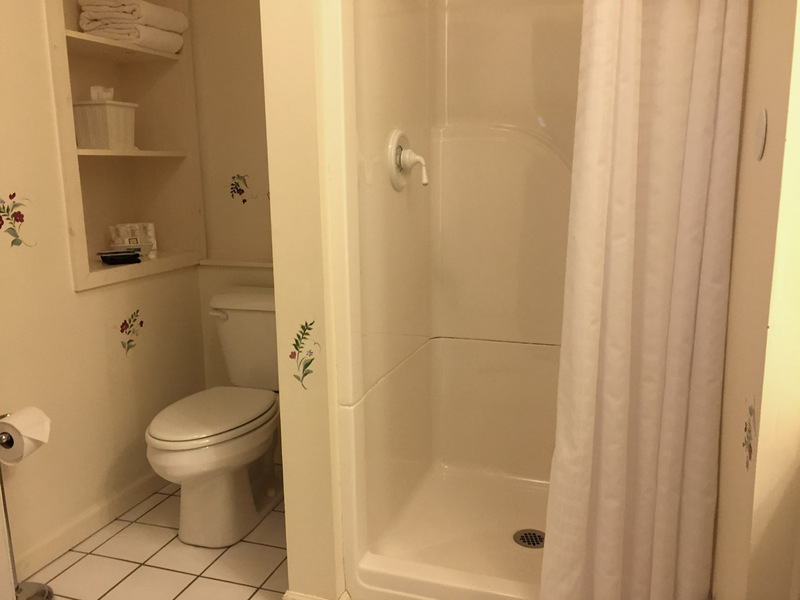 This room has a private en-suite bathroom with shower.